Satisfy your appetite for lunch or dinner at Terracotta Restaurant, a restaurant which specializes in local cuisine, or stay in and take advantage of the 24-hour room service. Buffet breakfasts are available daily from 6:30 AM to 10:30 AM for a fee. With a stay at Le Apple Boutique Hotel Bukit Bintang, you'll be centrally located in Kuala Lumpur, steps from Lot 10 Shopping Centre and 9 minutes by foot from Pavilion Kuala Lumpur. 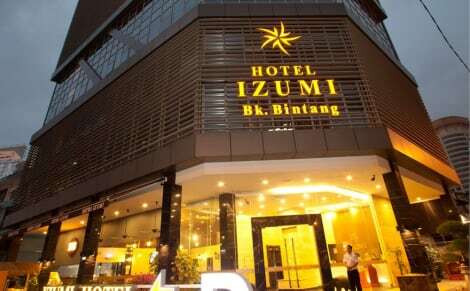 This hotel is 0.5 mi (0.8 km) from Berjaya Times Square and 0.6 mi (0.9 km) from Kuala Lumpur Convention Centre. Featured amenities include a business center, dry cleaning/laundry services, and luggage storage. Planning an event in Kuala Lumpur? This apartment has facilities measuring 100 square feet (9 square meters), including a conference center. A roundtrip airport shuttle is provided for a surcharge (available on request). Make yourself at home in one of the 46 air-conditioned rooms featuring refrigerators and flat-screen televisions. Complimentary wireless Internet access keeps you connected, and satellite programming is available for your entertainment. Private bathrooms with showers feature complimentary toiletries and hair dryers. Conveniences include safes and coffee/tea makers, and housekeeping is provided daily.